You'll find curry, stir-fry, sushi and more. A Thai dish from Spice Station. Downtown's Rosemary District continues to bloom. There are some new additions coming, including a favorite chef’s sandwiches (more on that reveal soon!) and the relocation of Artisan Cheese Company. And Boulevard of the Arts has now welcomed Spice Station. 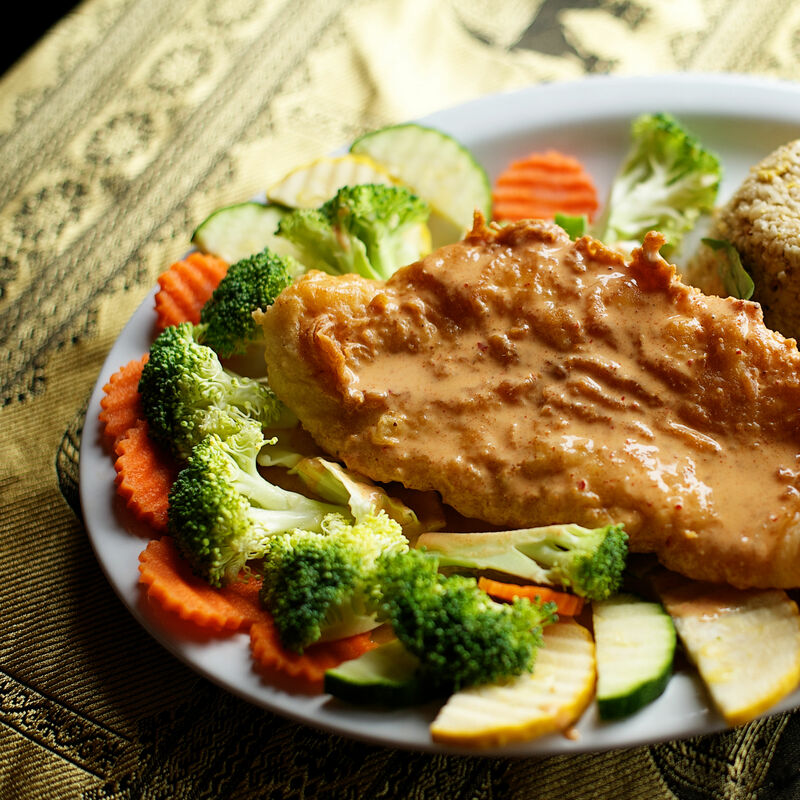 Sarasota has a nice range of specialty Thai food, including Isan Thai and Taste of Asia. Spice Station belongs in the top tier, as well. Two rooms and a small outdoor space define the space, with a sushi bar to the right and a semi-open kitchen and more seating to the left. The room starts to fill when the restaurant opens for lunch, and take-out orders and Bite Squad deliveries pour in all day, too. After all, this is Thai food—no doubt many offices are craving the exotic flavors of curry, pad Thai and stir fry. 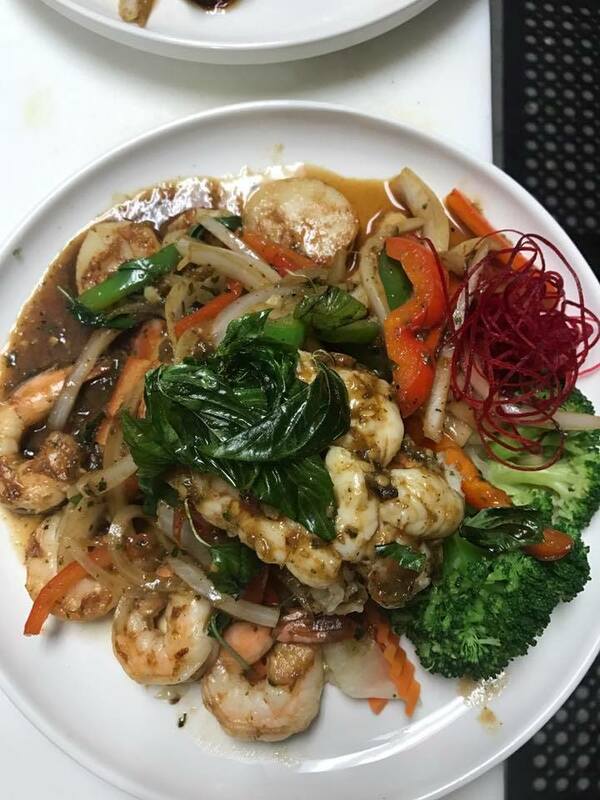 Lunch, served Monday through Saturday, from 11 a.m. to 3 p.m., offers a variety of Thai flavors thanks to inexpensive dishes with fresh ingredients and homemade sauces. Standouts include pan-seared cod with shiitake mushrooms and shredded ginger in yellow bean sauce ($9); stir-fried jasmine rice with crab meat, carrots, onions, scallions and eggs ($9); sautéed pork with fresh string beans and onions and roasted red curry paste and kaffir lime leaves ($8); and rice noodles and tofu steaks tossed with fresh bean sprouts and Chinese chives and sweet turnips ($9). On my third visit, I tried the Bangkok basil chicken—sautéed ground chicken, bell peppers, onions and basil leaves in garlic chili sauce with an over-easy egg. Nirvana! Portions are generous, but most important, the ingredients are very fresh. 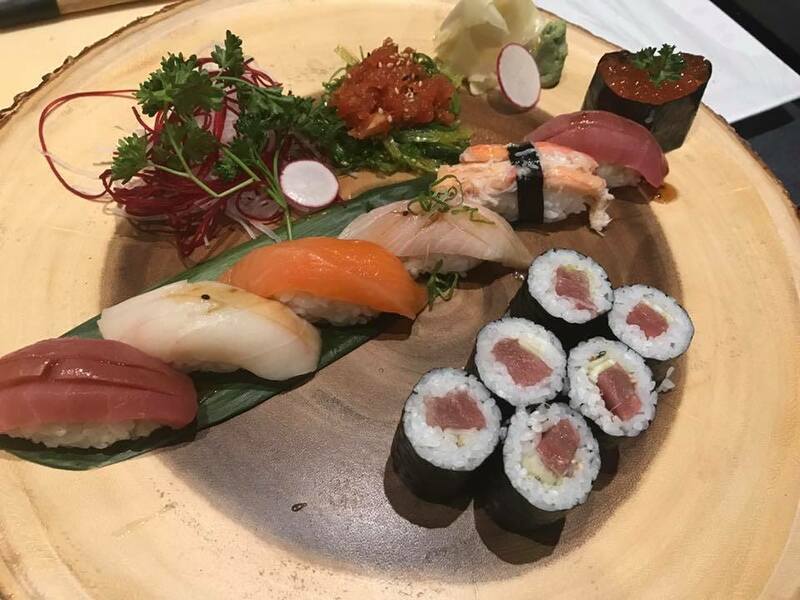 Sushi is equally enjoyable, with a variety of sashimi, creative rolls and tuna tartare. Spice Station also offers sushi and sashimi. Dinner offers an even wider variety of unique dishes recreated from family recipes. Salads include traditional Thai seafood salad with shrimp, scallops and calamari, red onions, grapes marinated in lemon juice (a wonderful marriage of sweet and tart) and fresh lemongrass ($13). Entrees include roasted duck breast with a mild curry sauce and grilled zucchini, or an amazing pad Thai with king prawns and tofu, bean sprouts, Chinese chives and sweet turnips ($15). There's also a unique brisket, slow-braised in a mild curry of warm spices and tamarind, garnished with cashews and avocado ($13). Spice Station offers a variety of sakes, wine and beer, along with a wonderful, not-too-sweet fried ice cream for dessert. In short: the restaurant is a welcome addition to the growing Rosemary District. This family-run restaurant has vegan, gluten-free and vegetarian menus, but carnivores will be pleased with its lamb, beef and pork specialties, too. $$ American 550 Central Ave. 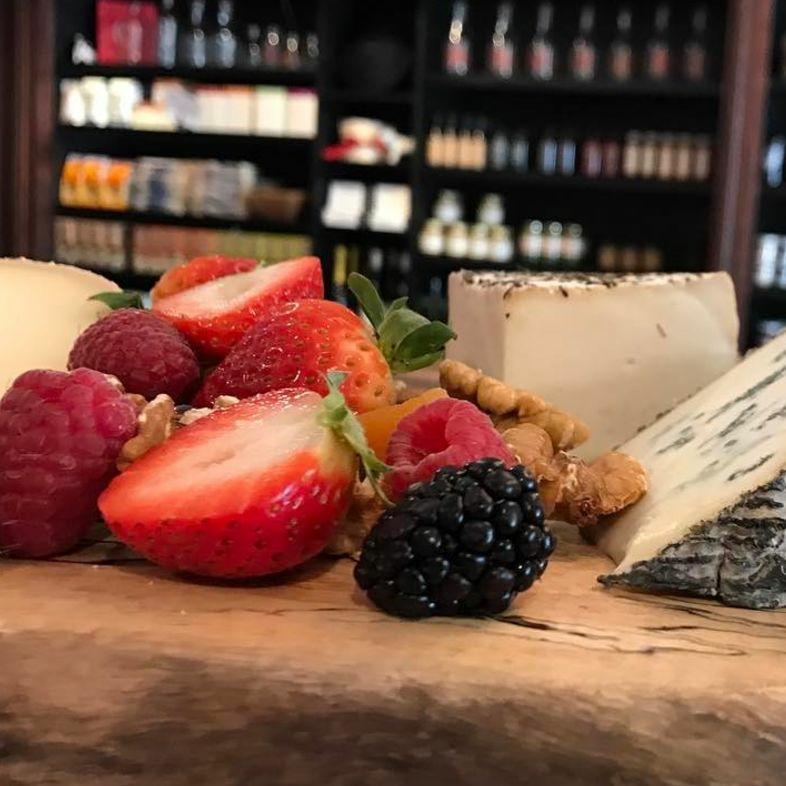 This downtown shop offers artisanal and farmhouse cheeses in every price point from across America and Europe.